Due to the recent tariffs imposed by the United States Government on components and products sourced from China, Honeywell RAE Systems is experiencing increased costs of supply due to such tariffs and therefore, will be updating its pricing on Honeywell RAE Systems products. Effective September 17th, 2018, Honeywell RAE Systems will be increasing the price of the majority of their products by 12.5%. Honeywell RAE Systems will continue to monitor the trade situation closely and will make further modifications if it improves. Compare the Safety Features - Don't Get Side-Tracked by the Bells and Whistles of Marketers! The BW Clip series revolutionized wearable single gas detection with the safety of always‑on simplicity. And now we’ve done it again – introducing the new low-maintenance BW Clip4 multi-gas detector from Honeywell. No charging, no replacements, no hassle. Just clip it on and get the job done. Because for two years, you know – it’s on. Available at EnviroMed!. Click here for more information about how the new BW4 can help you to save morey and time. The presence of toxic gases can represent a health hazard. These are often more available at your workplace than you can imagine. 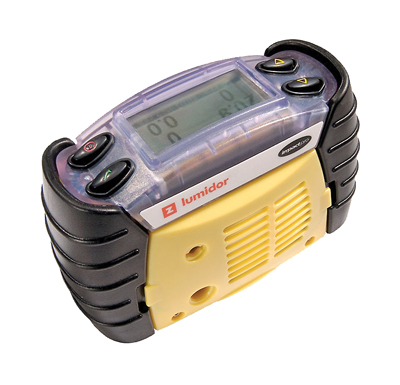 Gas detectors are intrinsically designed for the safety of workers. They can detect from a single gas to multiple gases simultaneously. Click here for more. Are your Gas Detectors working well? It's probably time to calibrate them! Remember that gas sensors need to be calibrated and periodically checked to ensure sensor accuracy and system integrity! Calibration refers to the adjustment of an instrument measuring accuracy relative to a known concentration of Certified NIST Gas and recorded electronically and/or via a (hard copy) paper document. EnviroMed offers only high-quality, certified, NIST-Traceable calibration gas. In order to meet the standard, the gas is mixed, tested with NIST-traceable instruments, set aside for a specified time period and retested. How often do I need to Calibrate? -->> Manufacturers indicate that gas detectors must be calibrated at various weekly and/or monthly intervals. We strongly encourage our customers to calibrate their instruments as often as possible to familiarize the user with the procedure and ensure confidence in their Life Safety Instruments. In this opportunity we are pleased to offer you our Trade-In Program. It is time to upgrade! Bring your old Impact Pro and unlock an additional value by trading it for new wireless gas detectors!. For more information about the products available for trade up, please click here. We expect 2017 to be an exciting year full of developments and improvements in gas technology. At EnviroMed, we now provide the latest in wireless gas detection technology. Wireless real time data would facilitate the communications directly with end users and supervisors. 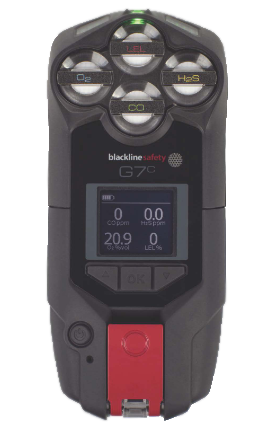 Wireless gas detection technology has an enormous potential on the monitoring of works in confined space. It is a life saver technology. Please take a moment to check out the capabilities that wireless technology can provide to your organization. Click here for more information. We look forward to continuing our partnering with you on your future gas detection requirements. It is our responsibility to inform you that Honeywell has discontinued the production of all new Impact Pro gas monitors. However, EnviroMed is committed to provide you with all New Parts and Warranty coverage until January 2018 and beyond until all stock inventory is exhausted. Repairs and Service beyond that time will continue to be available at EnviroMed with part replacements accomplished with refurbished units as available. Please click here to see the EnviroMed Impact Pro End-of-Life notification. We expect 2017 to be an exciting year in developments of new and improved gas detection technology; such as wireless attendant monitoring, drone applications, smartphone apps and much more . We look forward to continuing our partnering with you on your future gas detection requirements. IMPORTANT UPGRADE REQUIRED FOR MICROCLIP XL/X3 GAS DETECTORS MANUFACTURED PRIOR TO OCTOBER 2016. Click HERE for more information.